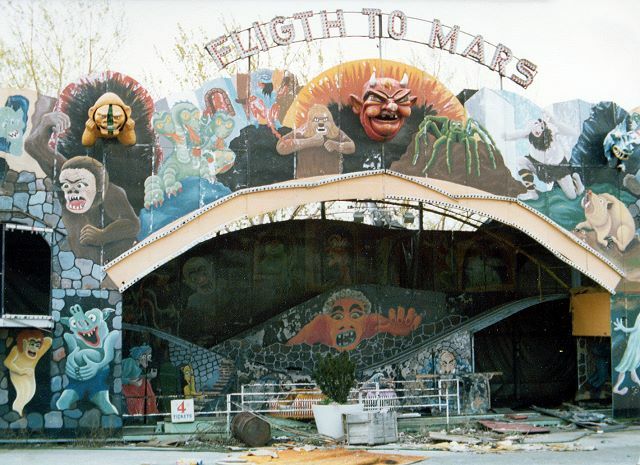 When I was about 5, my cousin and I went on a spook house ride ("Fligth to Mars") at Adventures Inn. When we got off, my cousin said someone put spaghetti on his head. I pictured someone pouring a bowl of spaghetti over his head and since I was sitting next to him I figured he must be making it up. A couple of years ago I went on a spook house with my Daughter and at the end, someone hit me in the head with a string. I then realized what my cousin meant by the spaghetti.